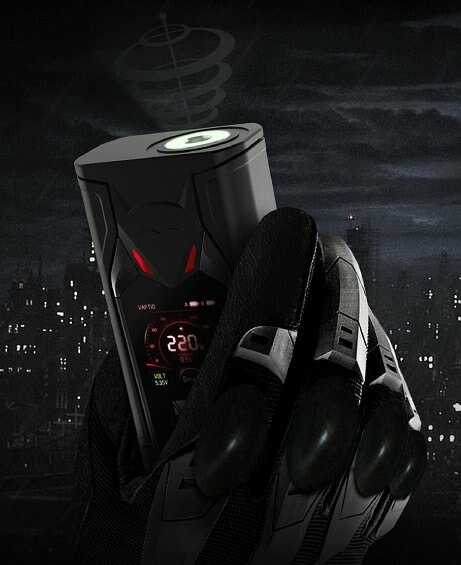 Introducing the Super Bat 220w, multi-purpose vape mod, the perfect combination of power and design to meet the demands of serious vape chasers. Meticulously designed and crafted to maximize your vaping experience this innovative design features an advance, intuitive UI and super cool interactive LED lighting system to enhance your visual sense. 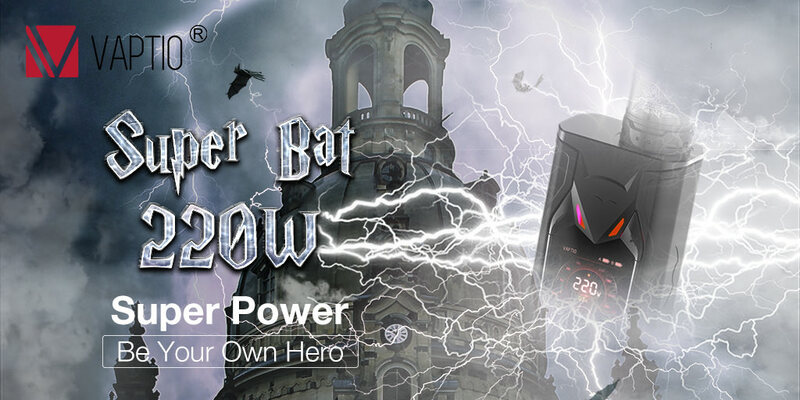 Super Bat 220w there is a new hero in town. Vaptio Super Bat comes to appearance there is no rival. The mod case features a special bat hero design with a colorful LED lighting system. Choose your style with 6 vibrant colors and 3 light array opyions, single color, single color flashing or multiple color flashing. Light up the night with colorful vaping. Equipped with multiple output control, the Super Bat puts the power in your hands. Delivering both power and agility with a variable controlled max output of 220w and 100-315℃ temperature control customizing your vaping experience has never been easier. Simply choose from one of our 3 smart mode settings or use the wattage, temperature curve modes (CCW/CCT Modes) to set your personal preferences. Temp mode to enhance your flavor, watt mode to maximize vapor. Like a protective shield it guards your electronics and ensures your vaping safety. and that they seemed to be the source of solutions to any problem. it is so damn efficient and you cant stop using it. and keep fighting, keep winning, keep being the hero. Super Bat is fitted with a 1.3 inch full color TFT screen delivering superior high definition viweing and a clearer user interface. The intuitive looking UI features a sporty watt odometer, displays all your vaping vitals and supports multiple language options. 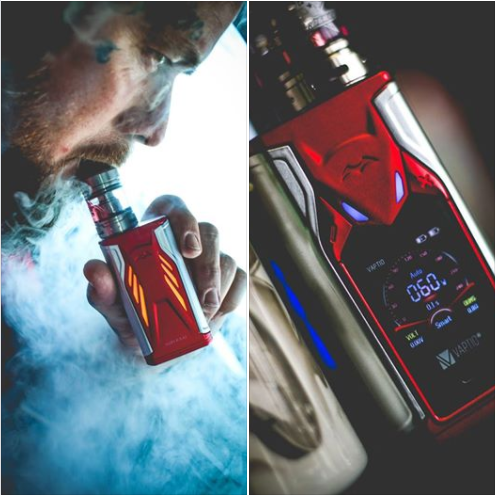 This Vaptio Super Bat 220W has a huge 1.3 inch HD color screen in the front side and Shining LED flash light in the back side.What do you think of this Hero series kit?